WHY DO EVENT DRIVEN MICROSCOPY? In a conventional microscopy study the researcher defines an experimental configuration, typically a combination of time-lapse, z-stack, multi-channel, multi-position and multi-view settings. Importantly, everything the microscope will do is fully defined before the experiment is initiated. In an event driven approach sample variation is used to influence the experimental configuration. This can be done with closed feedback loops where image analysis protocols are run on images as they are acquired, and the results of this analysis are used to decide what happens next. Figure 2: Search and find assay for metaphase spreads. A low resolution scan with a 20X air objective is performed across the entire slide. Low resolution images are analysed to detect the position of spreads. After switching to a 1.4 NA oil objective high resolution z-165 stacks are captured at the detected positions. These approaches have the potential to save vast quantities of user time, enabling larger scale studies, and a reduction in user error and bias. Feedback loops can also be utilised to reduce the chance of experimental failure. This can be as simple as correcting for stage drift, or following a moving target if it leaves the field of view. 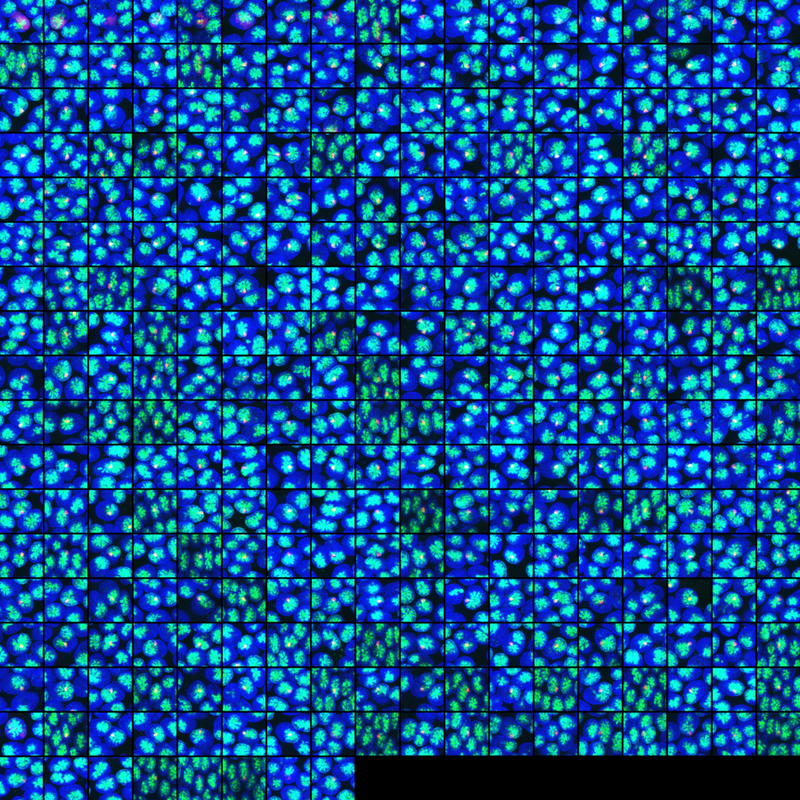 Modern commercial microscopes can acquire a large, perhaps unmanageable, amount of data. In many studies only a fraction of this data contains useful information which can be used to answer a specific biological question. An event driven approach can be used to filter images as they are acquired and dramatically reduce the data storage requirement for a study. For example, if we are studying a mitotic phenotype using time-lapse microscopy then only the regions of the images containing mitotic cells should be saved for further analysis. In light microscopy there is a constant trade-off between spatial resolution, temporal resolution, signal to noise ratio (SNR) and light exposure. When imaging live samples a limited, ideally physiological, light exposure should be used to ensure the relevant biology is not affected by the imaging. 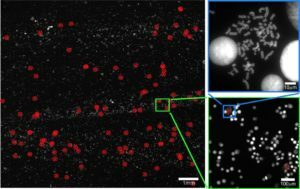 An alternative use of event driven microscopy is to reduce the sample light exposure by only imaging what is needed. This intelligent use of the light budget allows for a combination of higher SNR, spatial resolution and frame-rate, with equivalent total light exposure.